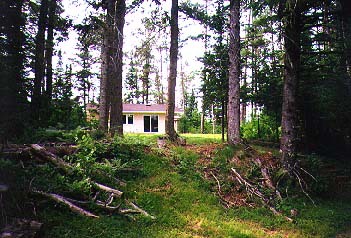 In 1994, we built a small cabin on a trout stream near Cable, Wisconsin. Because the cabin is surrounded by large pine and fir trees, we decided to call it PineSong. Almost always, as you fall asleep in the summer, you can hear the wind in the pines or the waters of the brook. 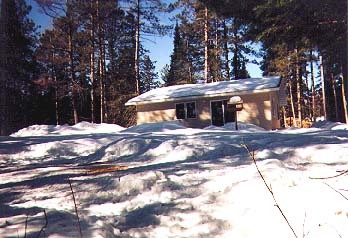 Here are a couple of pictures taken at the cabin which will give you an idea of what the place looks like.